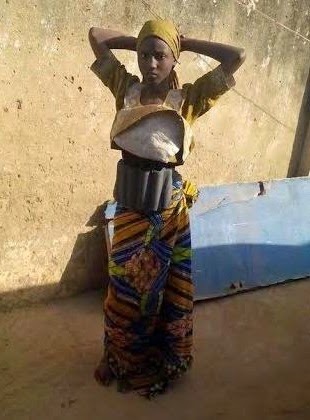 This 13 year old girl (pictured above) wearing an explosives-packed vest was arrested in Kano state yesterday December 11th. The girl was arrested after she and a male accomplice walked into a clinic seeking medical treatment. Suspicious hospital staff alerted police who immediately arrested the two. On searching her, Police discovered explosives hidden under her hijab. 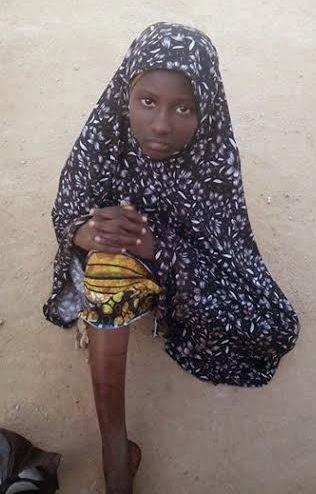 The police later revealed that the young girl was from Bauchi and was part of the 'suicide team' that attacked a market in Kano on Wednesday Dec. 10th.